September 28th in Wordpress Plugins, Wordpress Tips by Wordpress Jedi . 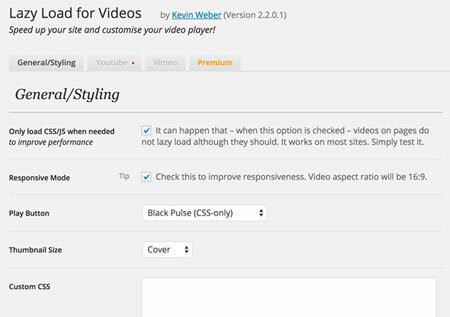 Lazy Load for Videos: as the name suggests, this plugin lets you lazy load videos to improve page load times for your site. It is compatible with YouTube and Vimeo videos. 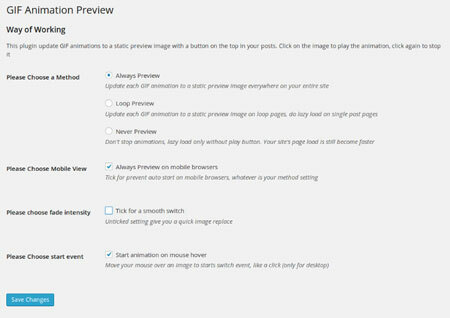 GIF Animation Preview: replace GIF animations with a static preview image. GIFs are played after clicked on. 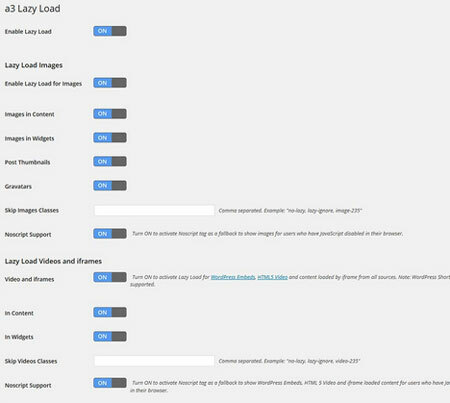 a3 Lazy Load: another plugin for lazy loading videos and images. You can pick and choose the elements that are lazy loaded. Have you found better plugins to lazy load videos, GIFs, and images? Please share them here.